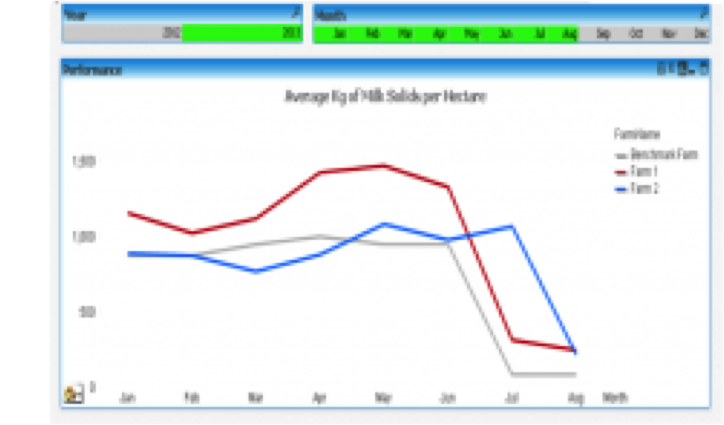 The BES team have created a series of Business Intelligence (BI) dashboards which show both financial and operational data relating to the farming business. The product we sell and support is QlikView, which is a leading BI solution globally. The dashboard tool allows powerful graphical visualisation without the need for hundreds of spreadsheets. Many of our customers use them when they are working on their business strategies. Dashboards can present almost any data that is available – financial, operational, weather, industry benchmark, etc. The data presented can be across multiple farms – either separately or consolidated. The BES team can work with you to identify the data that is important to you for your current needs and also for your future planning. They have developed many templates for the farming sector which means a short turnaround from your requests. We look forward to talking to you about your plans for the future and identifying the Key Performance Indicators (KPI’s) to track. Challenge us on this – we have included market share data before.